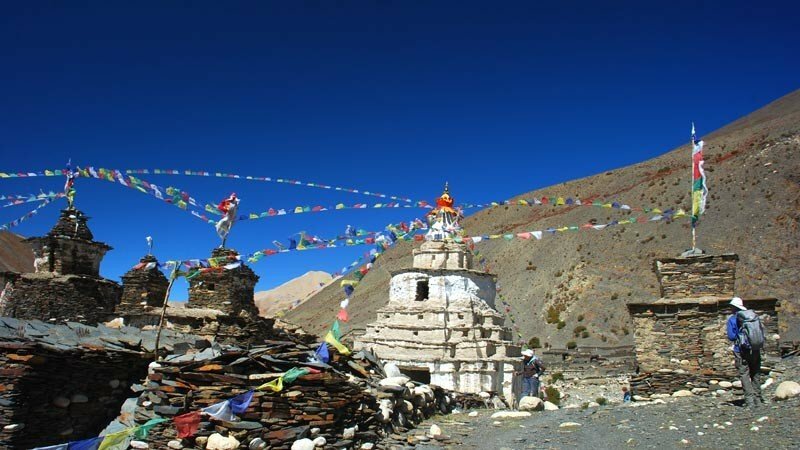 This is the one of the most high pass trekking destination for the travelers who would like to explore many ancient monasteries and ruined cave in remote area and beautiful landscape. 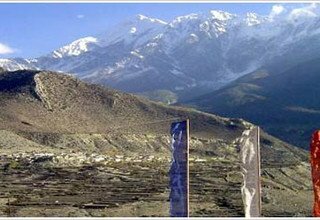 This trek start from the entry point of the forbidden kingdom and ancient wall city of Nepal and it was declared for trekkers since 1992. This trek is very enjoyable due to its isolation. Mustang is a land where the soul of the man is still considered to be as real as the feet he walks on; a land said to be ‘barren as a dead deer” but where beauty and happiness about in spite of hardships. 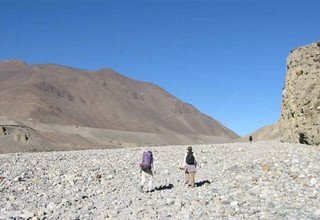 Trekking in Mustang is truly one of the most rewarding experiences in Nepal. 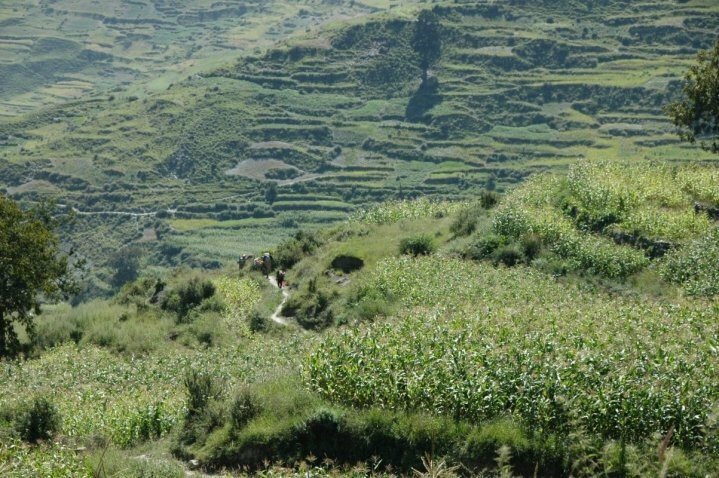 Trekkers will have a close up view of the primitive society that has remained unaffected by modernization for centuries. The route entails traveling across desert like landscape, barren ridges, deep canyons, eroded cliffs and moraine valleys. 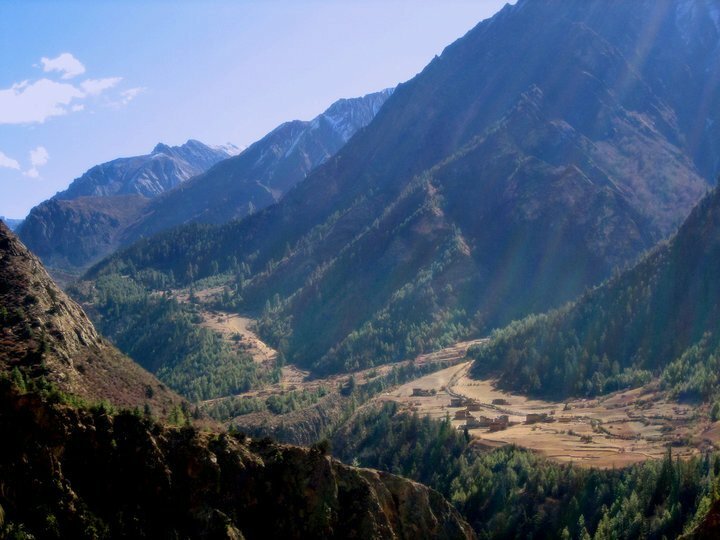 This trekking goes to high Sangda-La pass and entering the remote hidden destinations in Nepal where Nepal’s most tranquil and natural beauty is still unexplored. 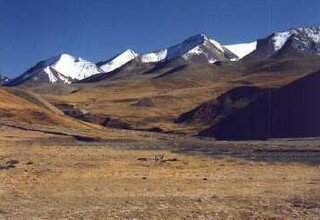 Dolpo region is situated between the Tibetan plateau and the Dhaulagiri Himalayan range. It was opened for visitors in 1989. 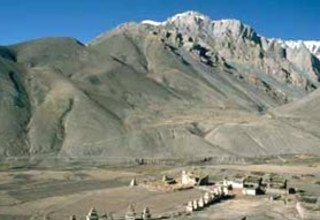 Dolpo is protected by Shey Phoksundo National Park, established in 1984. 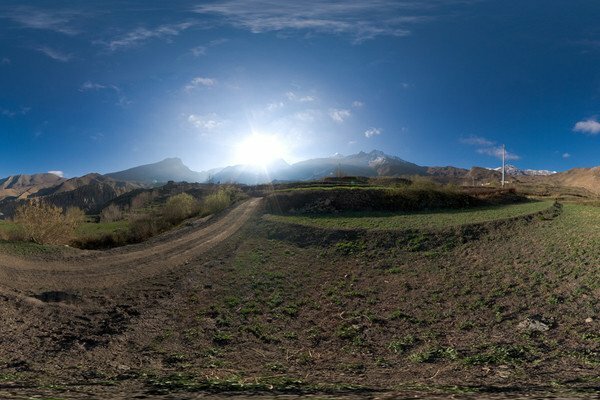 It is quite impressive and wonderful chance to experience with herbal land, unspoiled trans-Himalayan culture, isolated Buddhist monuments, beautiful Shey Phoksundo Lake, ancient animistic faith of Tibet and Buddhism, unique human civilization at high altitude, ancient Bonpo Religion, stunning mountain views, rain shadow landscapes, wild flowers and wild animals. 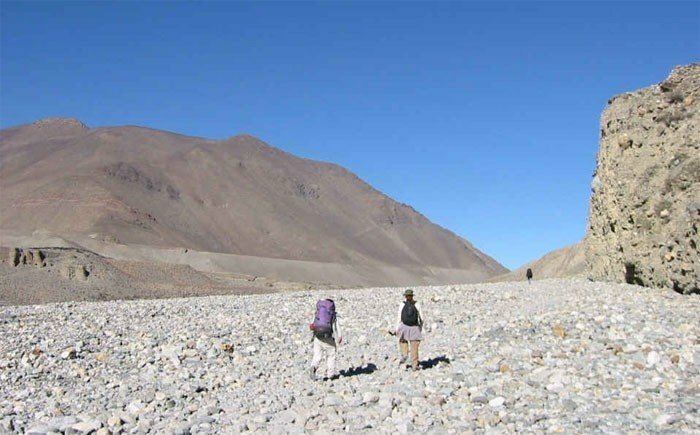 This trek is also discovering the dry landscapes of Dolpo and Mustang region. 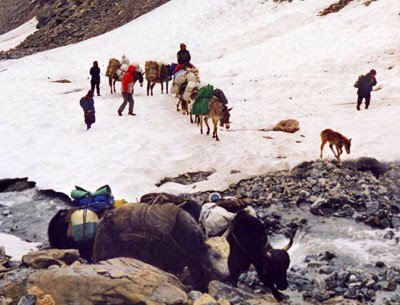 This is an alternative trekking for the trekkers who love to cross high Himalayan passes like Baga La pass, Numa La pass, Chharka La pass and Sangda La pass. Day 3: Drive from Kathmandu to Pokhara by A/C Tourist Bus and transfer to Hotel. 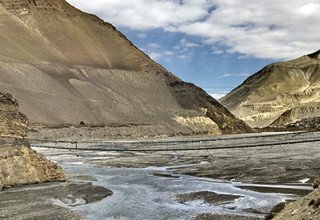 Day 4: Fly from Pokhara to Jomsom and trek to Kagbeni, stay overnight at tented camp. Day 5: Trek from Kagbeni to Dangarjong 3290m/6 hours, stay overnight at tented camp. 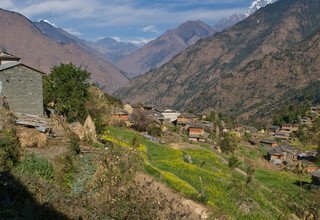 Day 6: Trek from Dangarjong to Sangda Village 3700m/7 hours, stay overnight at tented camp. 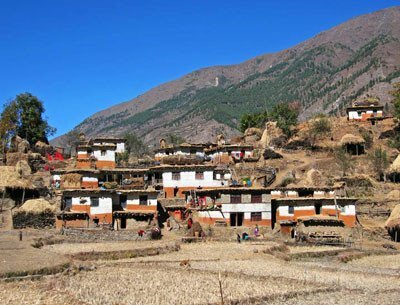 Day 8: Trek from Sangda Village to Sangda Phedi 4190m/6 hours, stay overnight at tented camp. Day 9: Trek from Sangda Phedi to Molum Sumna 4860m/8 hours via Sangda-La Pass 5195m, stay overnight at tented camp. Day 10: Trek from Molum Sumna to Naljyang Sumna 4600m/7 hours, stay overnight at tented camp. 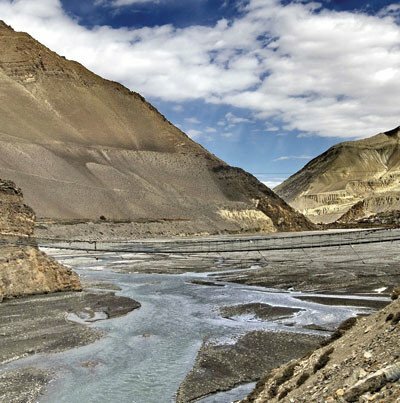 Day 11: Trek from Naljyang Sumna to Chharka Bhot 4110m/5 hours, stay overnight at tented camp. 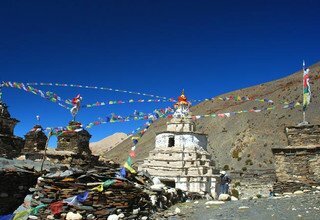 Day 12: Trek from Chharka Bhot to Yak Kharka 4400m/6 hours, stay overnight at tented camp. 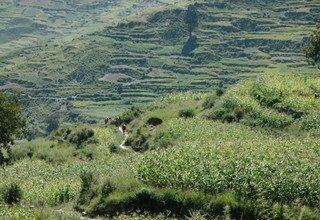 Day 13: Trek from Yak Kharka to Dhadgaon 4010m/7 hours, stay overnight at tented camp. Day 14: Trek from Dhadgaon to Seri 4000m/7 hours, stay overnight at tented camp. 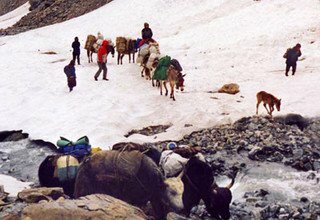 Day 15: Trek from Seri to Kakkotgaon 3210m/8 hours, stay overnight at tented camp. 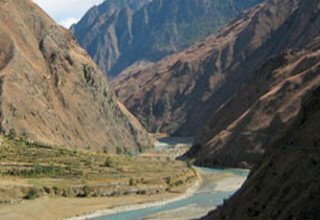 Day 16: Trek from Kakkotgaon to Laisicap 2772m/8 hours, stay overnight at tented camp. Day 17: Trek from Laisicap to Lawan 2800m/6 hours, stay overnight at tented camp. Day 18: Trek from Lawan to Dunai 2140m/7 hours, stay overnight at tented camp. 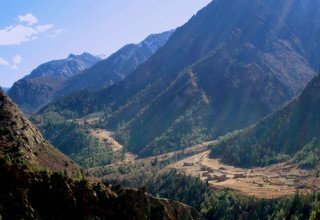 Day 19: Trek from Dunai to Juphal 2475m/5 hours, stay overnight at tented camp. Day 20: Fly from Juphal to Nepalgunj and afternoon fly back to Kathmandu, transfer to Hotel. Day 21: Final Departure to International Airport. * Domestic flight ticket from Pokhara/Jomsom-Juphal/Nepalgunj/KTM and domestic airport tax.